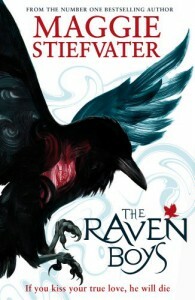 This review was first posted on Music, Books and TeaTruth be told, I wasn’t actually all that interested in reading The Raven Boys until about a month before its release when I finally took the time to read its synopsis. In a way, I probably saved myself from months of painful waiting for the release date to roll around, because as soon as I read the synopsis for this one, I was pining for it like crazy! And I am so pleased to say that it did not disappoint me one little bit.The first thing that I have to mention is the fact that this book contains a hell of a lot of information and little tidbits that you need to pay attention to, because you never know when you might need to remember a certain plot point that happened around 100 pages before. So you’d think that you’d want to read this book slowly and savour everything that happens, right? No chance. Nuh uh. I read this book in two sittings. It would have only been in one had I not fallen asleep whilst reading it. That isn’t just down to the plot either, the writing in this book is great. And I mean, really great. I wasn’t expecting it either, it took me completely by surprise, which made me appreciate it all the more.The characters in this book were all just made of win too. I loved Blue from the very start, because she didn’t conform, and she was different from other main characters. I loved how she wasn’t afraid to stand up for herself either, and she didn’t care who she was talking to. And to top it all off, she’s been told for her entire life that her kiss will kill her true love. So I completely understood why she was freaked when she first meets Gansey and the rest of The Raven Boys, because she doesn’t want to be responsible for something that is her destiny.And talking about The Raven Boys, these four characters were simply, one-hundred percent amazing. I loved Adam, and how he was constantly working hard to better himself from the place that he called his home. He had such a difficult home life yet tried desperately to shake that from himself, and refused to be seen as a charity case, which I really, truly admired him for. I loved watching his interactions with Blue, it was obvious that he really liked her. Noah’s friendship with Blue was one of my favourite things in the book, he was the quietest of the four but that came with good reason, as they all discovered. Ronan captured my attention with his bad temper and poor attitude, he was easy to dislike and I think that was what made me love him so much. And then there was Gansey and his quest to find Glendower. If ever there was a character whose mind I wanted to climb into and explore every nook and cranny of, it’s Gansey’s. I don’t know what else to say about him other than that, because I’m desperately trying to remain semi-articulate!And then there was the plot. Which kind of fell behind the writing and the characters, which is slightly disappointing, but it was still incredible nonetheless. The one problem I had was that there didn’t appear to be a whole lot going on for quite a while within the book, then all of a sudden all this action appeared and I was flipping between pages like a madwoman trying to get a grasp over what the hell I just read. That isn’t necessarily a bad thing, but I can totally understand why it would bug a lot of people.The Raven Boys is one of those books that I know I will definitely have to reread before the second book in the series comes out, because I know that there is no way I’ll be able to retain all the information from this first book in time for the second. But that is in no way a problem, because it means that I get to relive and enjoy this amazing book once again!